Twin City Honda proudly serves all drivers in nearby Nederland, Texas, so if you're looking for professional trade-in, finance, service or auto part assistance, don't hesitate to get in touch with us today! We're proud to be your local car dealership and look forward to customizing a shopping plan that exceeds your expectations. End your search for new cars for sale near Nederland, TX, visit Twin City Honda today! Test drive a new Honda Pilot for sale or learn about the amenities that come standard on a Honda Fit. Our Honda sales department is familiar with the entire vehicle lineup and will happily address your concerns and introduce you to competitively priced options that complement your vehicle search requirements. Our dealership stocks a number of used cars for sale as well to ensure all Honda Nederland shoppers are able to find the well-maintained ride that suits them. Talk to us about the inspections a used Honda Civic must go through or ask about the reconditioning process our Certified Pre-Owned Honda inventory completes. Twin City Honda also offers a number of other services that help you secure the quality ride you're interested in and keep it running smoothly. 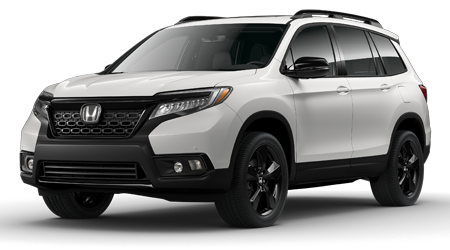 Feel free to complete a Honda credit application before visiting us for a used Honda Pilot test drive and be sure to schedule future maintenance services with us so you can take advantage of our Honda service coupons. Drivers can easily request an auto service appointment from the comfort of their home, thanks to online booking form we've made available. We also have a dedicated Honda parts department that can help drivers in nearby Beaumont, TX acquire the quality components they need to complete an at-home repair. The Twin City Honda family looks forward to assisting all drivers in the Nederland and Beaumont, Texas area so feel free to visit us in Port Arthur or use our interactive website to get your search for new cars started! We look forward to providing for your needs soon.